India is well known for its art and tradition, its colours and diversity. With wide climate and geography it has varieties of different culture and has different different handicraft & art work. We at bIb always in hunt of master work from the great artist of INDIA with a goal to provide amazing art work, handicraft & home decor products from all over INDIA. With the roots & essence of INDIA bIb – buyINDIAbuy aims to serves all over INDIA with a wide range of collection of Handicraft products, homedecor items and gift article all over from INDIA. 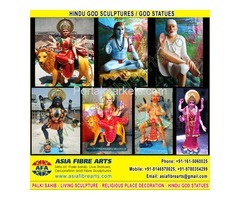 From all states of India we select specialities of a handicraft work and the deliver it to you. Bib provides wide range of agus can wire collection, designer temple, famous art work from Kerala, tanjore doll, handicraft work from kanyakumari, wood art work, brass idols, wood idols of god and goddess etc. Shop now and avail flat 5% cash back voucher.